Change the world, one adventure at a time! 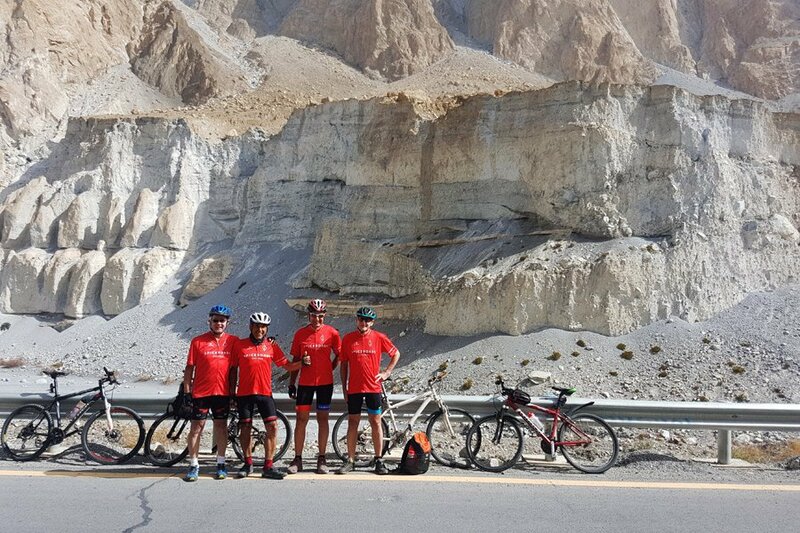 The SpiceRoads Custom Tour Team has years of experience working with charity rides and races, developing challenges at the appropriate level for a wide range of groups sizes and cycling abilities. 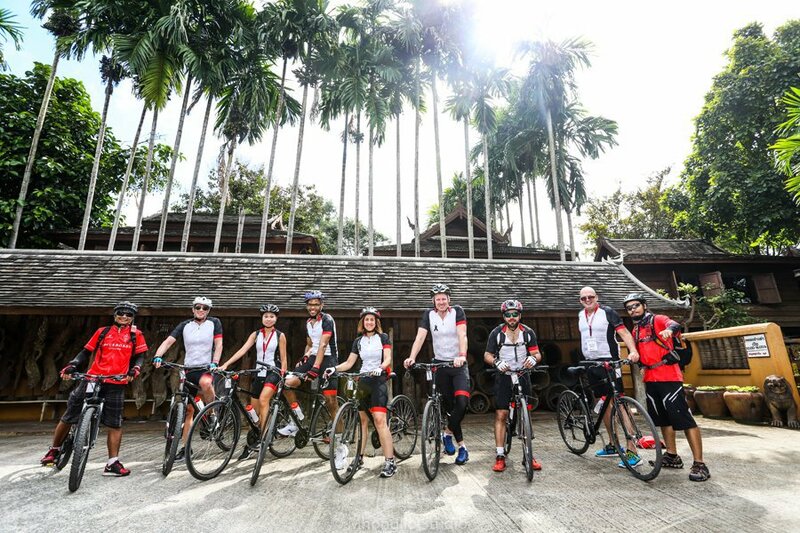 When it comes to your cycling charity ride, let us handle the heavy lifting- and the details- so you can focus on what’s most important: the cause. Make a difference, push yourself and see the world! 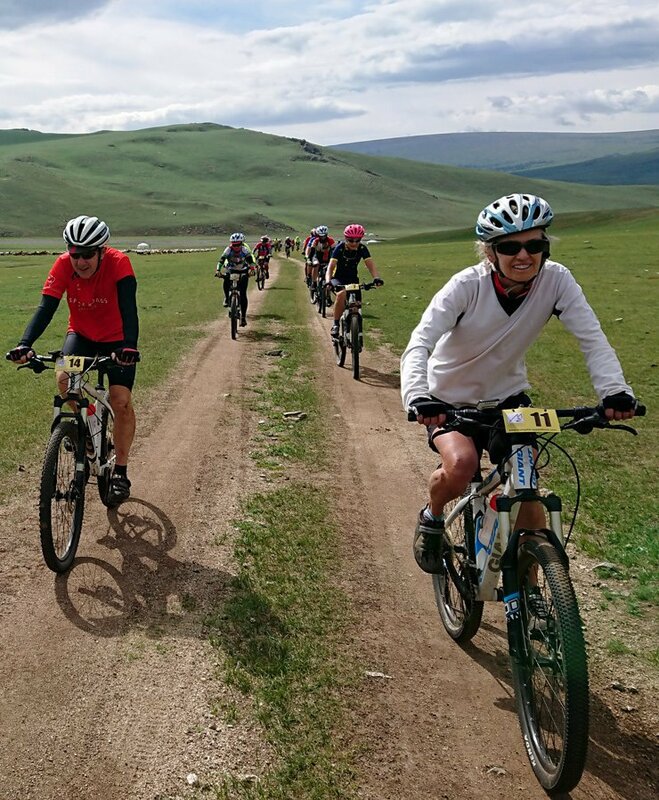 Charity organization, Gulf4Good, came to SpiceRoads to help craft a 9-day biking, trekking, and horse-riding adventure through the wild and rugged Mongolian steppe. 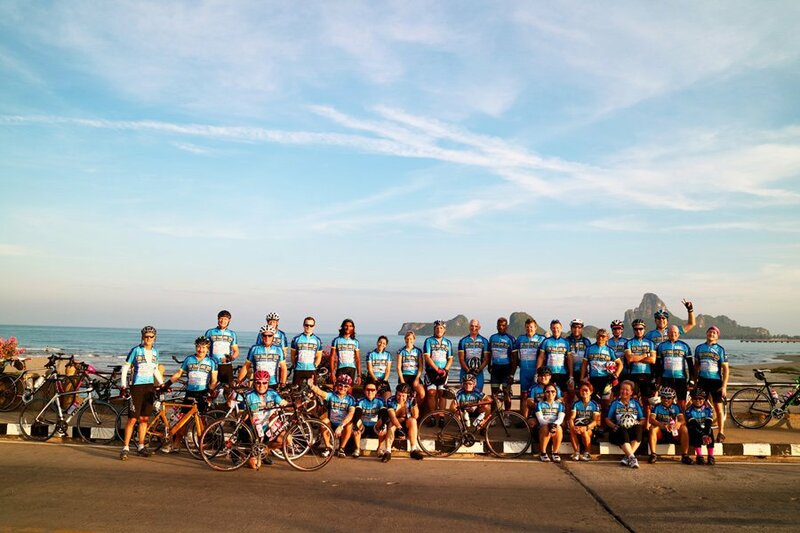 28 total riders participated in the challenge to raise sponsorship for children’s charities worldwide. 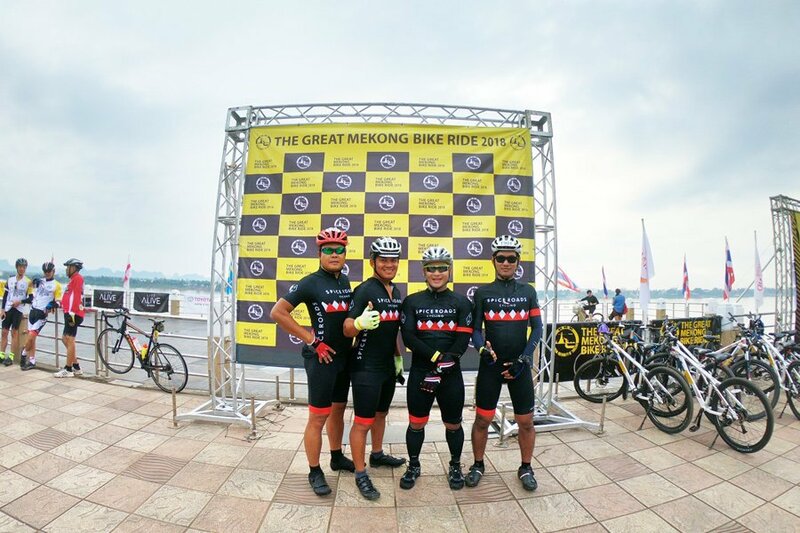 Designed for a group of 39 cyclists who wanted to combine their passion for cycling with doing good, this 8-day road ride through Northeastern Thailand was certainly a challenge! 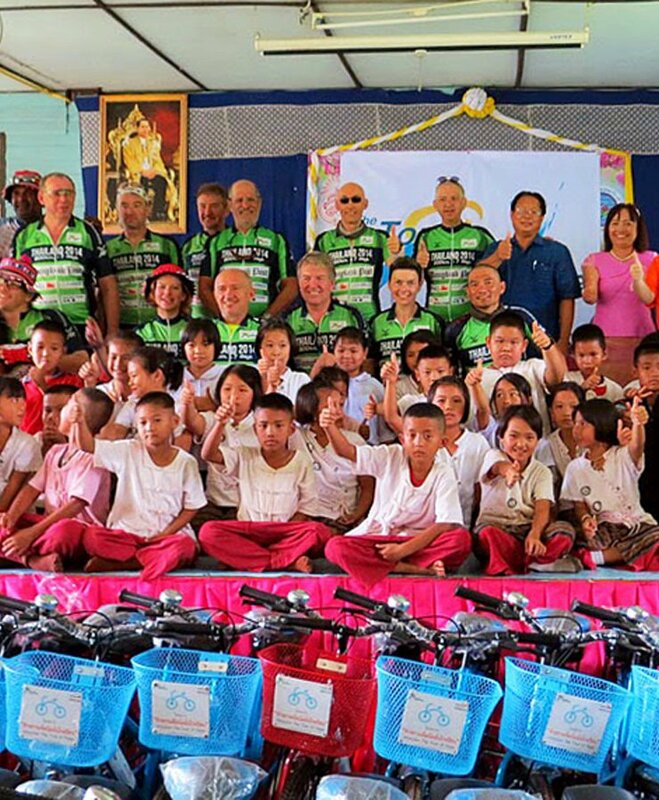 At the end of the ride, the cyclists managed to raise enough funds to build a new school library for the underprivileged community of Baan Mae Taman, in Northern Thailand. 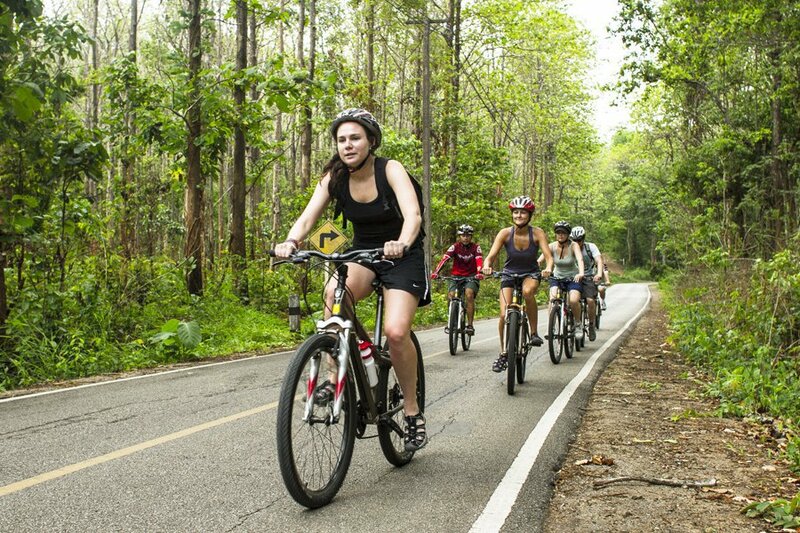 Excellent guides and per - fect logistics provide an absolute hassle-free tour where participants can concentrate on cycling, relaxing in well chosen hotels and delicious thaifood.